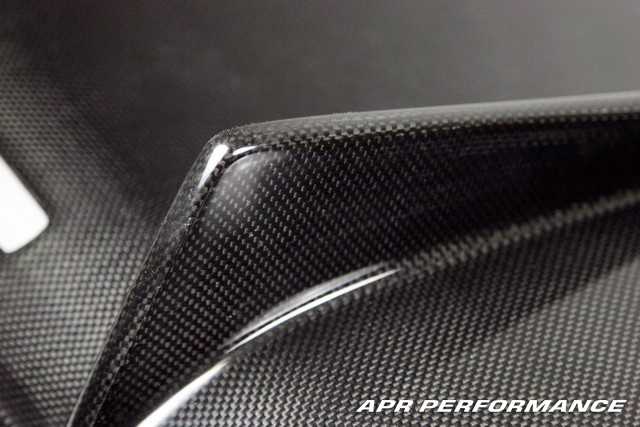 ModBargians.com provides APR Perforamnce Carbon Fiber/FRP Rear Diffusers for Mustang 2010-2012. CAll to speak to one of our Modification Specialists @ 714-582-3330 to start saving today! 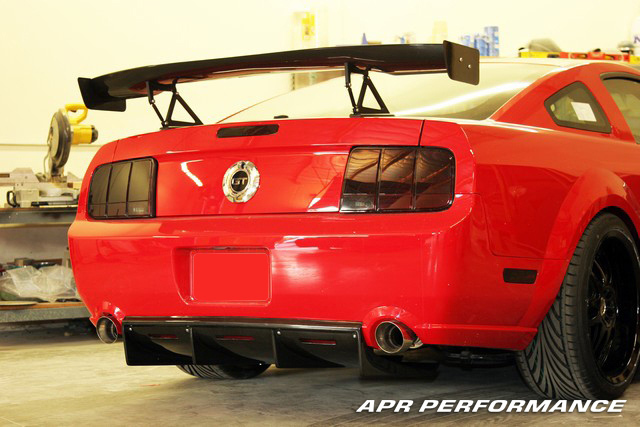 APR Performance's Carbon Fiber and FRP Rear Diffusers for Mustang 2010 - 2012 are made to do a lot of things; a rear diffuser can give you better aerodynamics and even boost the efficiency of other aftermarket aerodynamic parts that you already have installed on your car. The way that rear diffusers work is by channeling high pressure air into the vacuum that is created at the rear of your car in order to prevent excess amounts of drag that occur in low pressure areas. And if you already have a wing, side rocker extensions, or rear bumper skirts installed, then your diffuser can actually maximize the other components' aerodynamic efficiency. Diffusers are extremely good for getting your car to feel glued to the ground at high speeds. 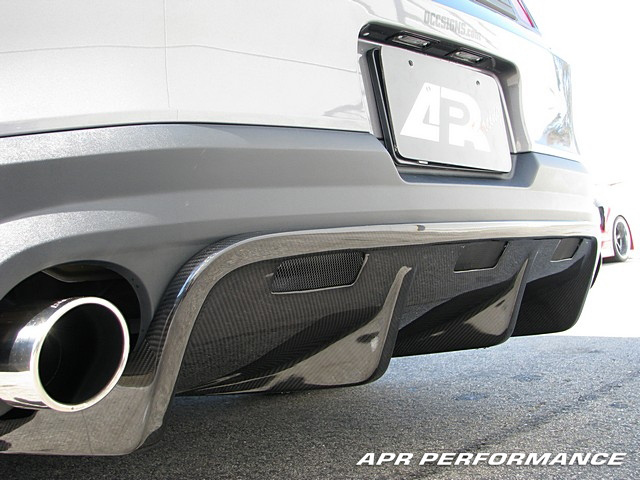 The APR Performance Carbon Fiber or FRP Rear Diffuser is extremely useful for people who are looking to race or even get a little sportier feel on the road. 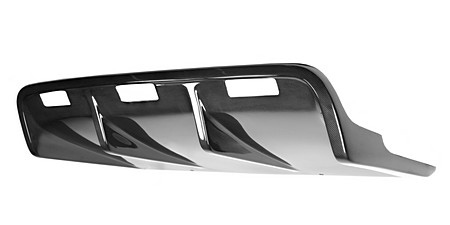 You will be able to experience more agility and stability from your Mustang after the rear diffuser is installed. And it looks amazing, especially in the sunlight with its super glossy carbon fiber finish. No matter what application you are using your rear diffuser for, APR Performance is sure to satisfy your need for a great look and flawless functionality. So if you want to pick up an APR Performance Carbon Fiber or FRP Rear Diffuser for your 2010-2012 Mustang, give ModBargains a call at 714-582-3330 to make an order and set up an installation date. Our modification specialists would love to see you get the aftermarket parts of your dreams. WARNING: Carbon fiber and FRP products are extremely difficult to install because they are handmade and created in molds that can slightly change overtime. This affects how the product fits to your car from the factory. So items like wings and other body parts will have to be sanded to adhere and attach to your car properly without compromising the structural integrity of your carbon fiber or FRP product. That is why we at ModBargains highly recommend that you have your APR Performance products professionally installed by us to ensure that you get the best end result and value for your money. We want you to love your new performance parts; that is why we have highly skilled and experienced installers that give you the fit and look that you want out of your carbon fiber and FRP parts.